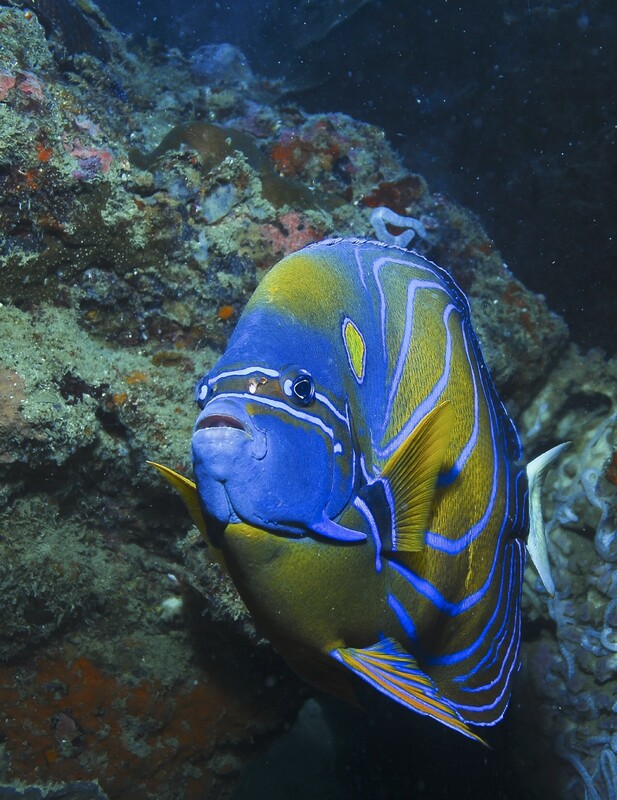 The Annularis Angelfish is also referred to as the Blue Ring Angelfish and Blue King Angelfish due to its brilliant sapphire stripes over a predominantly brown body and whitish-blue tail. 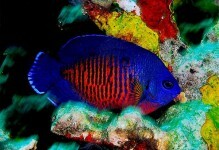 A minimum of a 220 gallon tank is necessary for a single Annularis. Provide plenty of hiding places such as caves and live rock for grazing. A word of caution: this variety will nip at sessile invertebrates directly at the base such as nudibranchs, corals, and tridacnid (three-footed) clams. 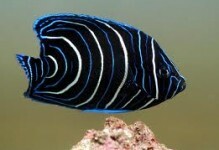 As such, the Annularis Angelfish would not make a good reef dweller. 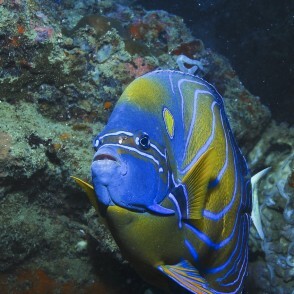 Considered semi-aggressive, the Annularis may become territorial once acclimated to the tank. 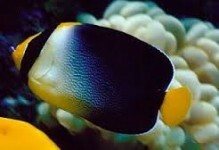 All Angelfish are considered hermaphroditic, and visibly, it is not possible to differentiate males from females. 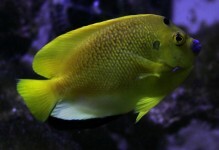 The diet of the Annularis Angelfish should include vegetables, meats, and angelfish food preparations containing spongiform products. When first introduced, it may need to be offered live foods such as brine shrimp or freshly chopped seafoods to entice it to eat.